We are the Gamma Tau Chapter of Sigma Kappa at Midwestern State University, located in Wichita Falls Texas. We hope you stay connected with the sisterhood that has flourished on MSU's campus since 1952. We are the first PanHellenic sorority at this campus, and it is with great pride that we present to you a mystic bond called sisterhood that means so much to us. Membership in Sigma Kappa Sorority is both a privilege and responsibility. 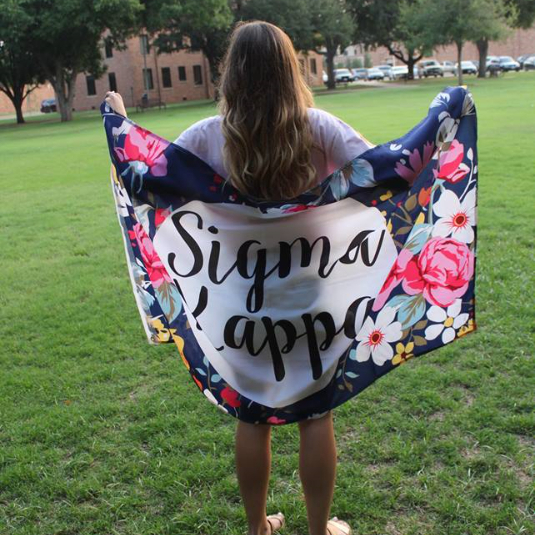 Through your lifetime membership in Sigma Kappa you will have many opportunities to experience personal growth, embrace service make new and lasting friendships, and feel a sense of loyalty (our four core values) to something larger than yourself. Sigma Kappa is a well-established and respected Sorority with 140 years of achievements to her name! We appreciate our founders Mary Caffrey Low, Louise Helen Coburn, Elizabeth Gorham Hoag, Ida Mabel Fuller, and Francis Elliot Mann for the beautiful sisterhood they have started. We hope to continue their legacy by embracing our core values now and forever.